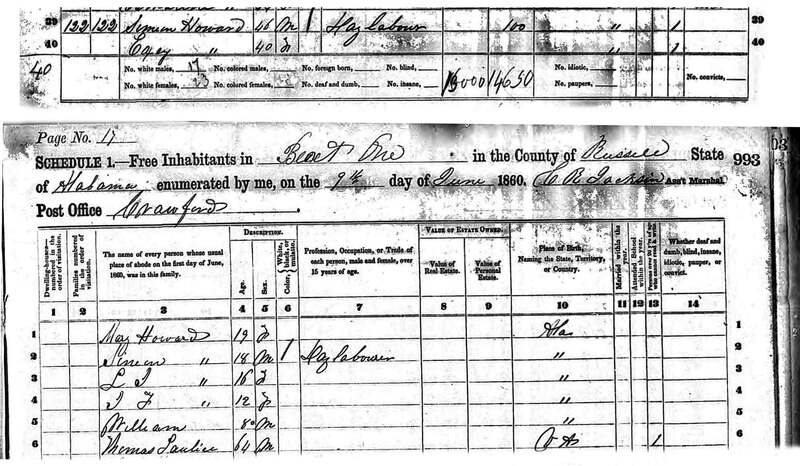 Simeon Daniel Howard was born about 1815 somewhere in Georgia and died on an unknown day in April 1870 in Leary, Calhoun Co., Georgia. Actual date of birth is unknown. He lived to be about 55 years old. We believe William to be the father of Simeon. They are found living next door to each other on the 1840 census. In April 1838 Simeon marries Exy and William is the witness. A few months later, in December 1838, William and Simeon Howard lease land from David Holland of the State of Alabama for four years. The land is located just south of the town of Salem, Lee Co. on the Little Uchee Creek (present day county road 240). In his later years, Simeon worked as a shoemaker. He died of Pneumonia Mors one month after his wife and was buried somewhere on Deer Run Plantation with his wife. The grave sites are believed to have been destroyed. If any judge of Justice of the Peace or any authorized minister of the gospel of the said state. You or any of you are hereby authorized to join in Holy Matrimony Simeon Howard and Experience Ellis for sodoing this shall be your sufficient license. one female under 21 and one female over 21. 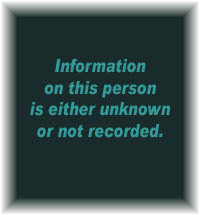 Recorded as family #1260: Simeon Howard (age 35), Exy (age 30), Mary (age 10), Simeon (age 6) and Sarah (age 4). Simeon Sr., Exy and Mary were born in GA and Simeon Jr. and Sarah were born in AL. The children have not attended school during the past year. family#122 - Simeon Howard (age 46, a day laborer born in GA) and his wife Exey (age 40, born in GA) Mary (age 19), Simeon (age 18, day laborer), S. J. 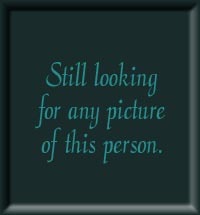 (female, age 16), J. F. (female, age 12), William (age 8), and Thomas Laudin or Lawless (age 64, relationship unknown)He was born in VA and cannot read or write. Personal estate is estimated at $100. Children are born in AL. There is a mark in the box for race beside Simeon and Simeon Jr. name. Simeon Howard is listed as number 1 in this Petit Juror summons for the September term of 1864. Simeon Howard is listed as number 29 in this Juror summons for the March term of 1866. Quincy A. Nobles leases her parcel of land to Simeon Howard. The 100 acres of land is located in the north west corner of the south half of lot number 121 in the 3rd district of Early County (now Calhoun). Simeon Howard is listed as number 1 and Simeon Howard Jr. is listed as number 11 in this Juror summons. Simeon Howard is listed as number 7 in this Petit Juror summons. 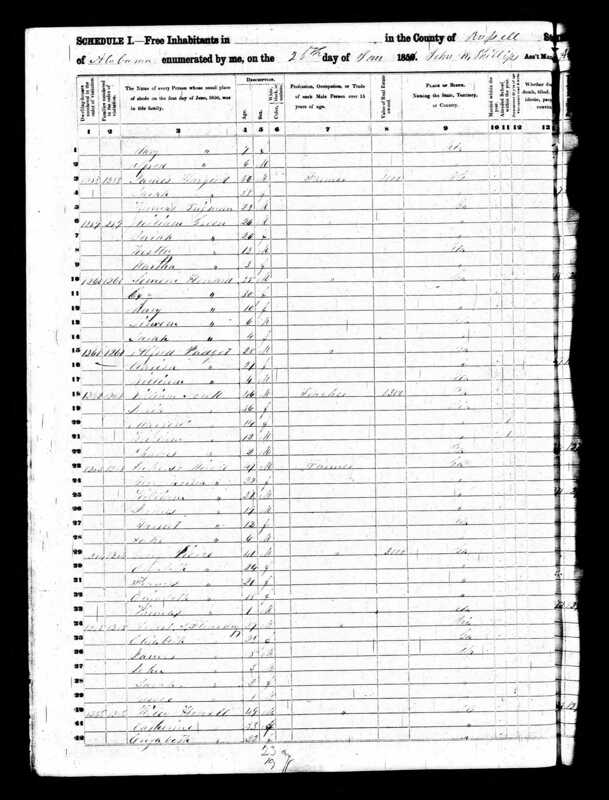 The Calhoun County Georgia 1870 Mortality report, Reel No: T655-9, records the death of Simeon Howard, a widdowed white male, age 65, in April. He died of Pulmonalis Mors. He was a shoemaker. On the very next line, it records the death of his wife, Experance Howard, a married white female, age 50, the prior month in March. She died of Pneumonia. Click on any of the News, Events, or Discoveries buttons above to see historical things that happened during Simeon Howard's life. These are only some of the major events that affected the life and times of Simeon, his family, and friends. For example, Simeon is 5 years old when The Act of April 24, 1820 abolished the land purchase credit system, fixed the price of public lands at $1.25 per acre, and set the minimum purchase at 80 acres. After a person purchased land, a final certificate was issued by the land office and sent to Washington DC to be verified and signed by the President -- a time consuming process. Public lands were most typically available through US treaties with Indians who agreed to be removed from their homelands. Born about 1820 and died on an unknown day in March 1870. Born in Abbeville, Henry County, Alabama on December 11, 1837 and died in Gadsden County, Florida on January 9, 1919. He was 81 years old. Born in Russell Co., Alabama on an unknown day in October 1840 and died in Morgan, Georgia about 1915. She was about 74 years old. 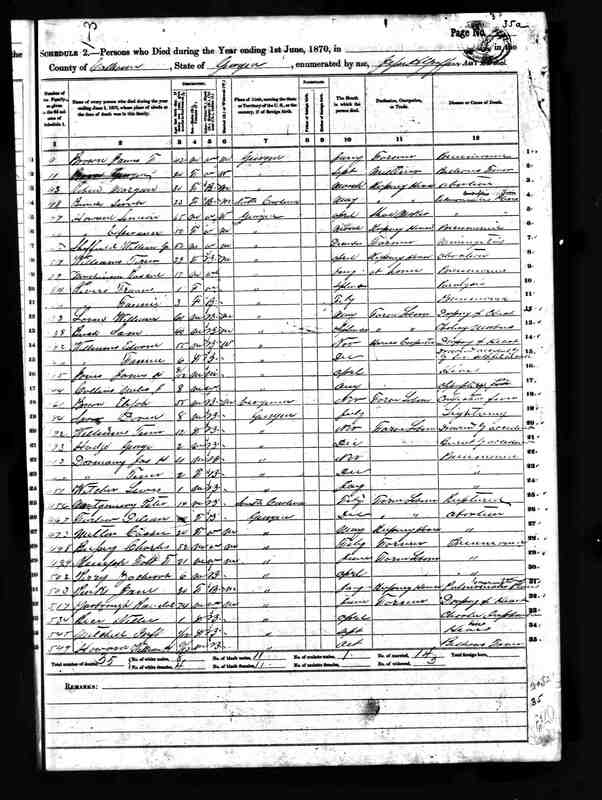 We know she had a daughter name Willie (her name may have been William S. - notice the 1870 census). Born somewhere in Alabama on October 17, 1846 and died in Calhoun Co., Georgia on January 10, 1914. She was 67 years old. She was called "Sal" or "Sally". She may have married Bill Gladden. 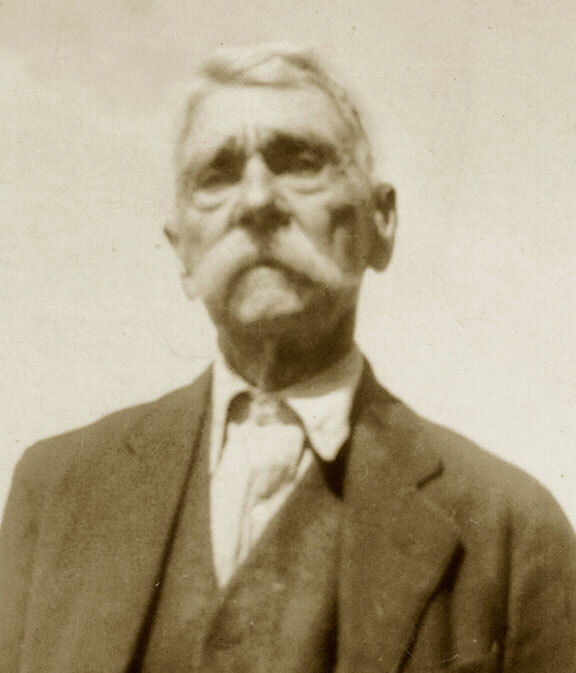 Born in Russell Co., Alabama on January 26, 1853 and died in Calhoun Co., Georgia on April 30, 1944. She was 91 years old. Born in Russell County, Alabama on April 12, 1856 and died in Hiland Park, Florida on January 15, 1950. He was 93 years old.